Bounce Energy Balls | Bounce Protein Balls UK Suppliers. We supply Bounce Protein Balls in the UK; we distribute Bounce Protein Balls at wholesale supplier price. We have loads of flavours of bounce energy Balls and supply Bounce Protein Balls to many clients in the UK. Bounce Peanut Butter Breakfast Bars - 20 x 45g Product DerscriptionWith peanuts bei.. Bounce Red Berry Breakfast Bars - 20 x 45g Product DerscriptionFor that perfect ble.. Bounce Madagascan Vanilla Breakfast Bars - 20 x 45g Product DerscriptionThis chewy .. Bounce Energy Balls Dark Chocolate 12 x 49g Product DescriptionFor those with a ser.. 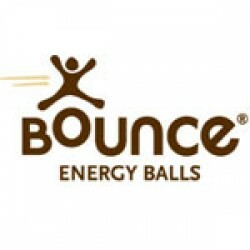 Bounce Energy Balls Salted Caramel 12 x 49g Product DescriptionThis nutty, chewy ba.. Bounce Energy Balls Peanut 12 x 49g Product DescriptionBounce Protein Ball Peanut .. Bounce Energy Balls Cocoa Orange 12 x 49g Product DescriptionIntroducing a power-pa.. Bounce Energy Balls Almond Protein Hit 12 x 49g Product DescriptionA tasty pocket r.. Bounce Energy Balls Apple & Cinnamon Protein Punch 12 x 49g Product Description.. Bounce Energy Balls Cacao Mint Protein Bomb 12 x 49g Product DescriptionIntroducing.. Bounce Energy Balls Coconut & Macadamia Protein Bliss 12 x 49g Product Description .. Bounce Energy Balls V Life Almond and Spirulina 12 x 49g Product DescriptionA chewy..